Sometimes, you just have one of those nights. Maybe you’ve broken the rules. Maybe you’re cranky and stressed. Maybe you’re feeling overwhelmed and Little. Whatever the reason, you need a spanking. 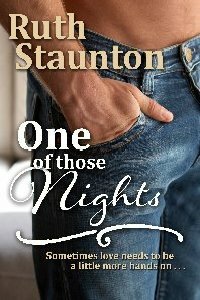 In this new anthology of short spanking stories, three women and one man all find themselves having one of those nights. Fortunately, they have husbands and boyfriends who know just what to do.